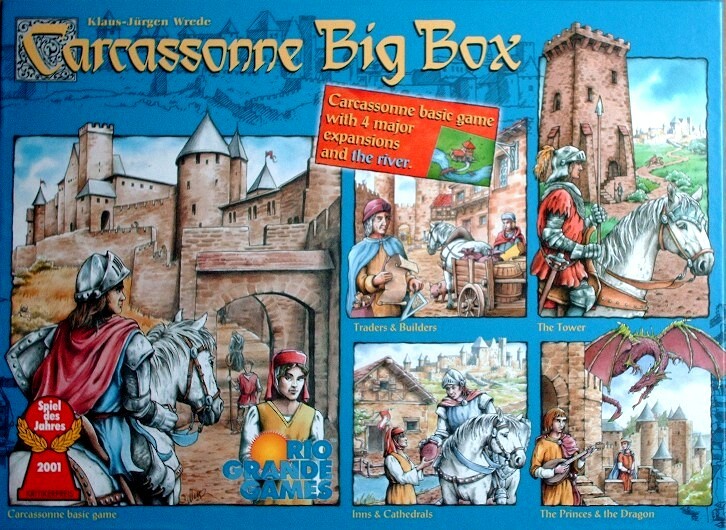 What's your Favourite Big Box? This week we ask you to vote for your favourite Big Box. 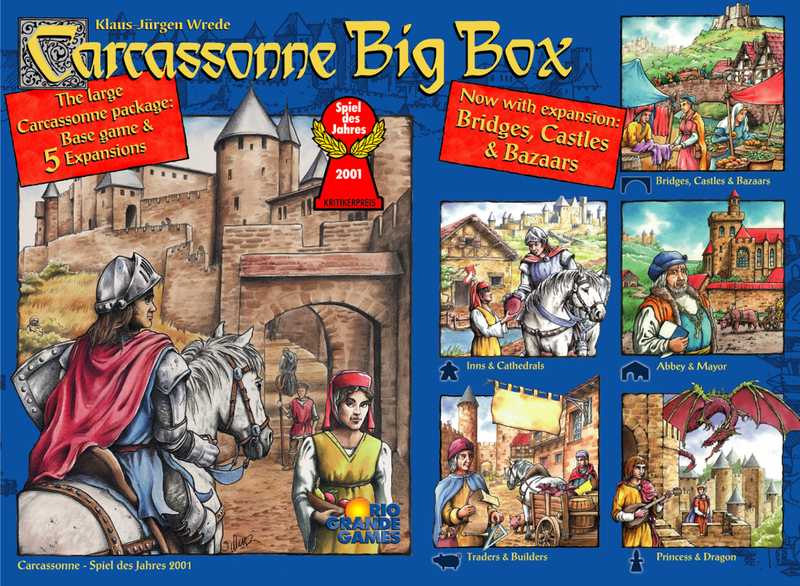 Rather than just voting for the one you bought, or bought first, I'm asking to to review the contents of each big box and determine which you should had the best distributions of expansions. Next up was Big Box 1, from 2006. The German Edition had no River! That's the line-up. 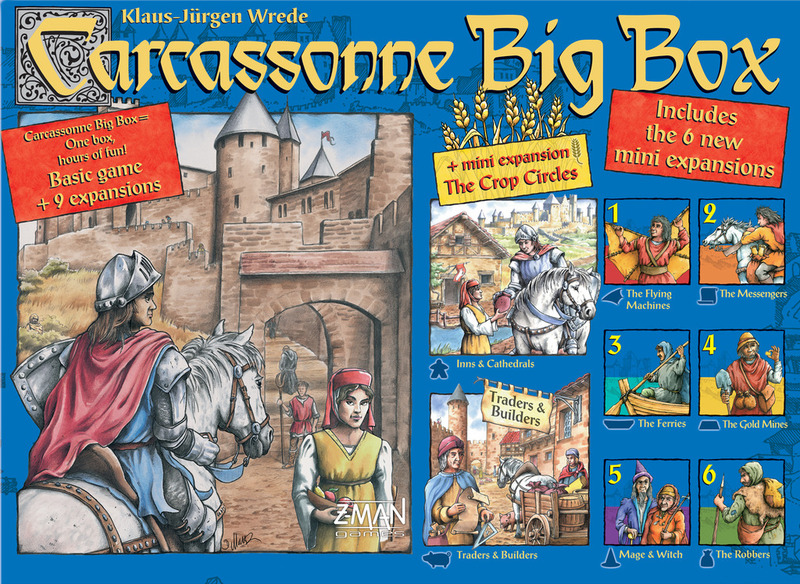 There are some other box sets like the Mueller Exclusive, the Russian boxes, and metal boxed Traders and Builders - but these are considered smaller boxed sets of the base game. 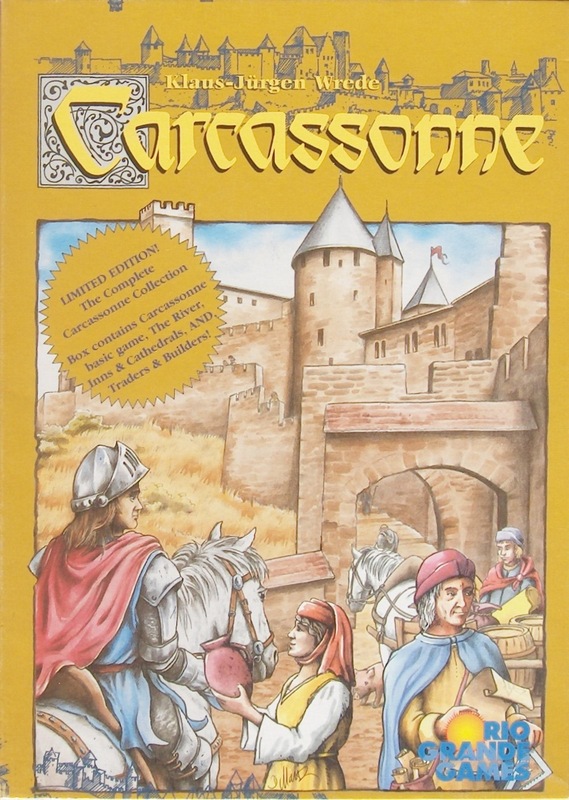 So, over to you: What's you're favourite Carcassonne Big Box? We've come to the end of this road of my Favouritism journey. But who knows what's beyond that next junction - perhaps an Inn, or a Labyrinth, or maybe just a dead-end waiting for that non-existent tile; but who knows perhaps an Abbey will save us. I'll leave by saying, Many thanks for all of your thoughts and inputs over the last few weeks! I think a box that has not the name "BigBox" is not a BigBox. So your poll with the "BigBox0" does not exist as a "BigBox". 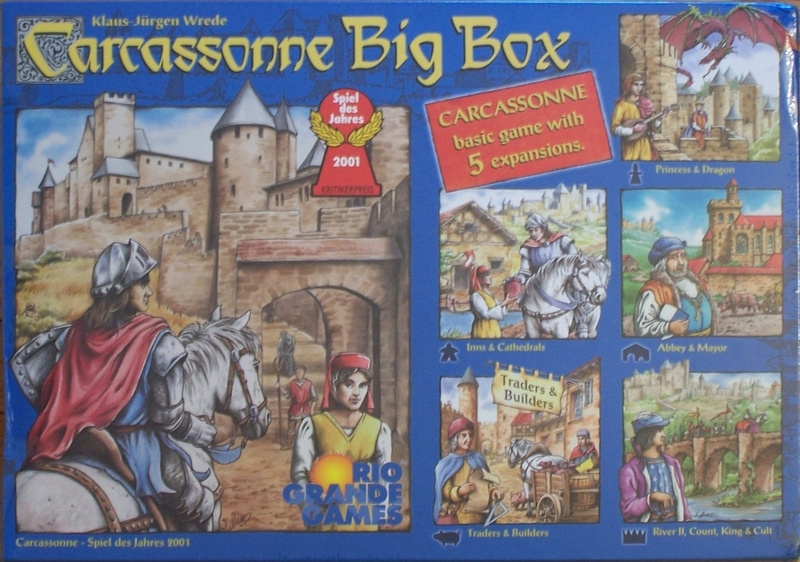 In my opinion are only the BigBoxes 1-5 the real BigBoxes. 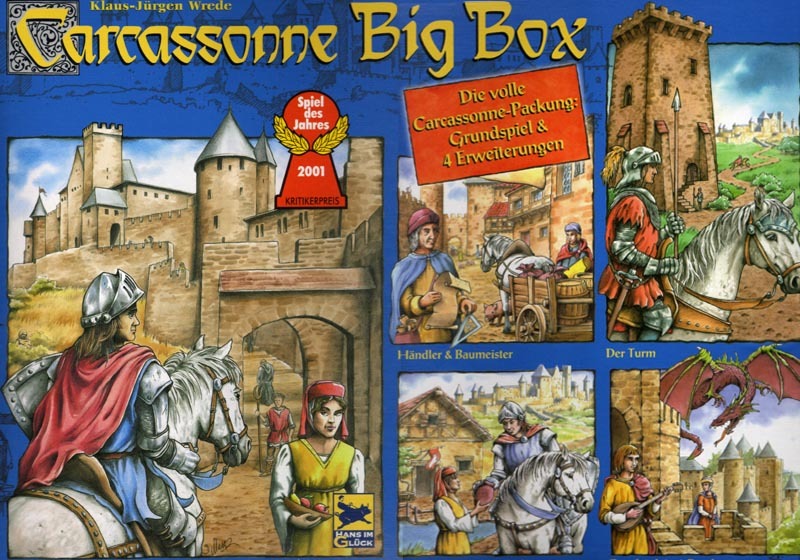 I've voted for the BigBox1, because with this BigBox I've started with Carcassonne. In the German BigBox1 was no River expansion. Thanks kettlefish, I've updated the poll to include the German Edition (with no River). 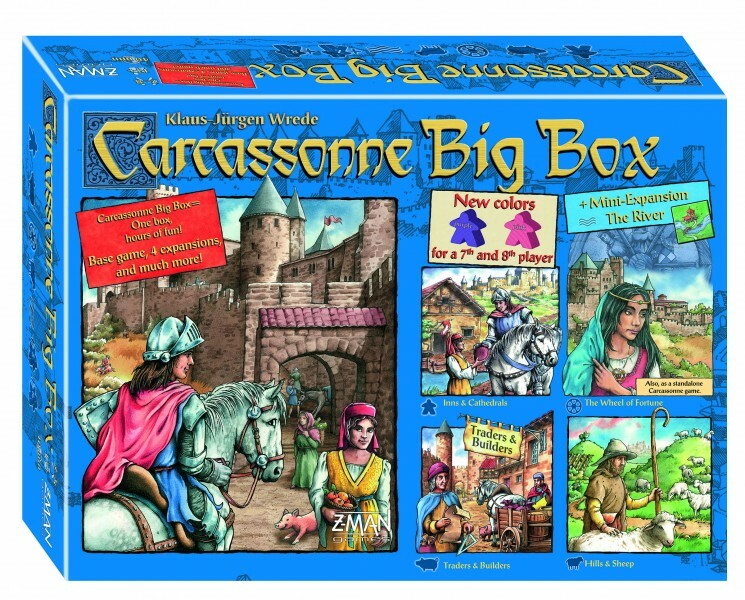 I too started with Big Box 1, but after looking at these boxes and what's included in them, I actually think Big Box 2 is the best. It replaced The Tower with not two but essentially five expansions since Count, King & Cult is a compilation. Best one, I think. And after that, Big Box 3. Big Box 1 is third place for me. It is really hard to decide between 2 and 3. I guess the lack of a river makes me prefer 2. T&B and A&M are must have expansions IMHO. I went with BB3 as it personally brought a bang for the buck. Every BB as fter that felt too pricy for it's content. This is of course Sweden experience where BB5 cost more than 80 Euro in some local stores. If you want to avoid a "disappointing response" shouldn't you have a "I don't care for big boxes option"? I would assume that people who didn't care for them simply wouldn't vote? I've voted for Big Box 0 as it's the only one I own. Well, apart from Big Box 5 but I had to get that as it's the only one that offers anything unique. So then how would you distinguish between those who can't be bothered to vote (a "disappointing response") and those who excluded by the lack of even a "something else" option? Which of these boxes are your favoruite? As an expample: Playing with the tunnels expansion and a set of tiles you stuck to a cereal packet is not an option. This is a vote to see which Big Box is the most popular. It isn't a popularity contest to see who can launch the poll that receives the most responses! Not bothering to vote or not having a favourite BB is the same thing in my book as they don't help us to find a favourite BB. I can't imagine what a "something else" option would be since all the BBs (and then a bonus BB!) are covered, but I leave this in Decar's capable hands and am happy for those who don't have an opinion to simply not vote. I don't own any big boxes but I voted for Big Box 2. However, a combination of 1 and 2 would be my favourite if it existed: I&C, T&B, A&M and the Tower. I picked 5 as it's the one I will soon get. Reason? Because I never picked up the increasingly rare WoF! I struggle to have a favourite BB as I don't own any as I collected all the constituent parts one by one (sometimes several at a time, of course!). I voted for BB2 as that was the only one that came with River II as far as I could see. In some sense, this could actually make it my least favourite because I felt the need to buy the whole box just for those bits! But it definitely makes it the one that I was most compelled to own.